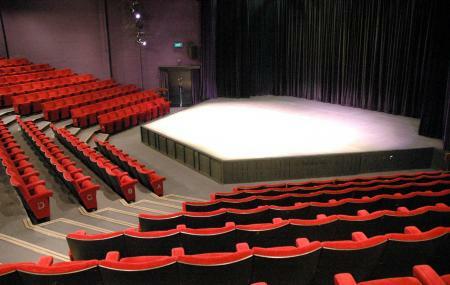 With a seating capacity of over 300, the Gulbenkian Theatre is the University of Kent’s Arts Centre offering innovative, engaging and high quality arts activities for the public. It also has a cafe which incorporates an informal cabaret style space for live music, comedy and slam poetry. An interesting and vivacious place to visit while on your Canterbury holiday. Booking a ticket in advance is recommended. Check the official website for the current plays. University bus stop- adjacent to the theatre. How popular is Gulbenkian Theatre? People normally club together St. Augustine's Abbey and Greyfriars Chapel And Franciscan Gardens while planning their visit to Gulbenkian Theatre.